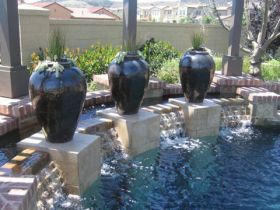 Patrick May Landscape Design's goal is to maximize our client's happiness by designing outdoor enviorments that beautifully integrate the client's taste and lifestyle with their land and home. The design process starts with the client's vision for the project. Patrick is skilled at refining that vision into a workable plan while presenting enhancing options and recommendations along the way. 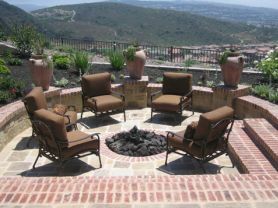 Patrick works in all outdoor mediums including softscapes, hardscapes, structures, lighting and features like barbeques, fireplaces and fountains. The initial result will be client approved sketches and plans that will serve as the overview for the project. Patrick will next develop the overview sketches into the set of detailed specifications for the project. These specifications will include all dimensions, materials and elevational details needed to construct the project as well as obtain the necessary governing authority approvals. Patrick can provide oversight services. Throughout the design and building processes he coordinates with all the necessary design, and construction professionals to insure successful implementation of the vision. For construction, Patrick can recommend trusted, experienced construction professionals or work with yours. 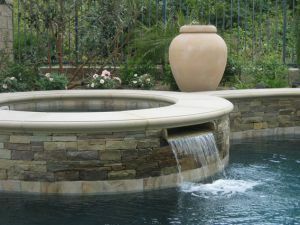 While roles may vary with each project, Patrick May Landscape Design consistently delivers beautiful outdoor enviornments that exceed the client's expectations.